Home / Blog / Leave a Legacy / Sponsor a Tree in our Peace Grove! My Olive Tree has a number of olive tree groves spread throughout Israel. Perhaps the most unique of these is our Peace Grove, which is located on the main Israeli Army base headquarters for the Gaza Strip. So far, nearly 250 trees have been sponsored in this grove, which doubles as a symbol of peace and hope in one of the most unstable regions of the world. 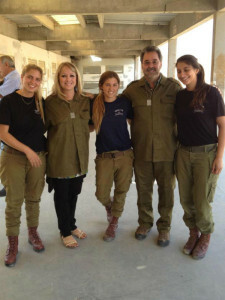 A few years back, Israeli Army troops uncovered a tunnel running directly beneath the base and into Israeli territory. For years, it was standard practice for Palestinian terrorist organizations to create tunnels through Gaza and into Israel. These so-called “terror tunnels” were used to smuggle weapons, people, contraband, and more, and were extremely difficult to detect. The Israeli army has since become far more efficient at finding and destroying these tunnels before they pose a security risk. My Olive Tree had the unique idea to create an olive tree grove directly on top of one of the former terror tunnel sites. Our mission has always been to “reclaim the desert,” both from the years of agricultural neglect that have left much of the land barren, as well as from the people who would seek to do harm to the innocents in Israel. Planting a grove of olive trees (which spiritually represent symbols of peace) over a tunnel built to be used specifically for purposes of violence and terror, is a powerful symbol of the peace and hope that comes from God. So while all of the My Olive Tree olive tree groves offer people the opportunity to contribute to something great in Israel (namely, sustainable agricultural work for citizens and various humanitarian aid efforts benefited by the sales of our olive products), the Peace Grove is a particularly unique chance to contribute and take a real, tangible stand against terror in the region. 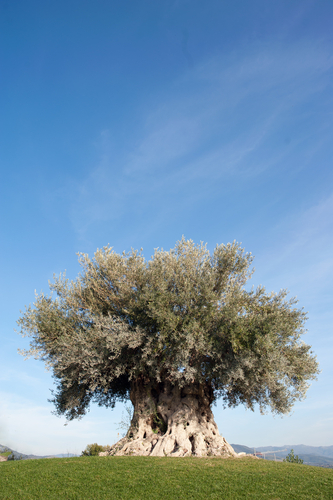 If you have any questions about how to sponsor an olive tree in our Peace Grove, or are simply looking to learn more about the other sponsorship opportunities we have, we encourage you to reach out to My Olive Tree today. We look forward to speaking with you!